World of derby is a car-race-like game available for android and iOS devices. 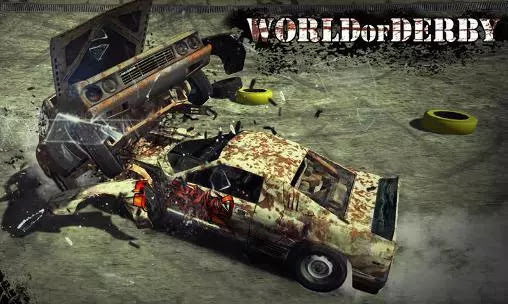 In this game, you take part in powerful harsh survival races in which you crash into opponents cars and, in the attempt, try as much as you can to avoid crashes from your opponents. Speed across the arena destroying cars of your opponents. Become the strongest rider in the arenas of the game for Android. Overclock your car to an insane speed. Do steep turns, jumps over ramps, and do other dangerous maneuvers. Carefully watch your opponents and don't give them a chance to win. Crash into cars of your opponents and watch them explode. Bet and get prizes for winning. Expand your collection of cars -all these and many more fun are what's expected from World of Derby android game. Download World of Derby for your android device here.